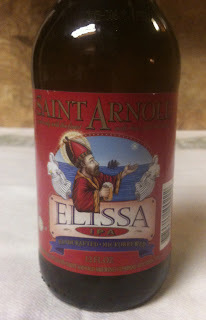 Tonight's IPA is an Elissa IPA from Saint Arnold Brewing Company. Their web site lists 60 IBUs and 6.6% ABV. It comes in a twelve ounce bottle. This IPA poured with a fairly small head, and has a nice golden color. There is a light to medium aroma, mostly of hops and citrus. 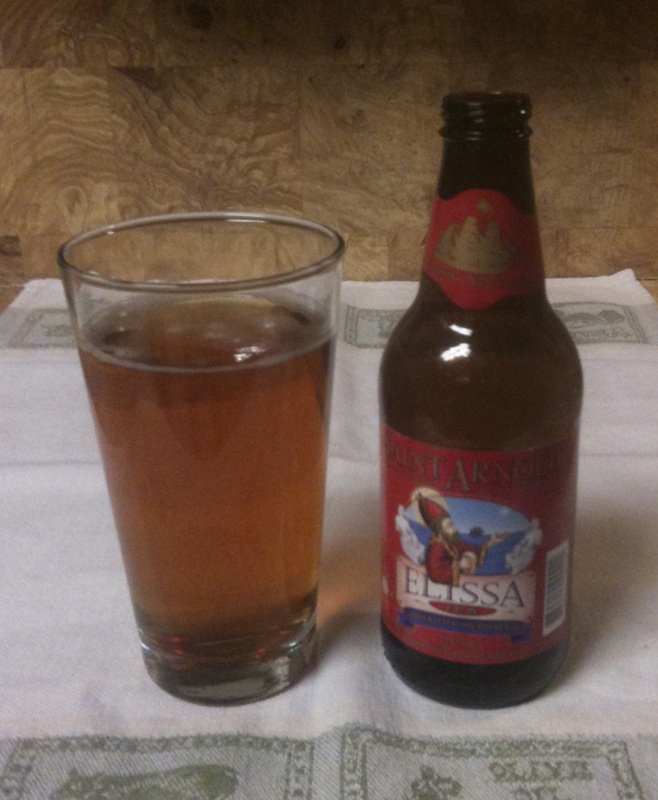 The flavor is medium in strength, with some hops and bitterness, but some maltiness as well. The flavor fades pretty quickly at the end of each sip, and leaves a slightly bitter aftertaste but not a lot. To me, this one is not overly strong on hops, or really high on the strength-of-flavor scale, but the malts give it a nice balance that I enjoyed.